If you read my Facebook or Twitter posts over the weekend you would have seen that I attended the Schoolies Festival 2013 at Victor Harbor, SA as a VIP Guest and had been invited by Encounter Youth, the organisation that puts on the event in that state. When they first offered me the opportunity there was a part of me that hesitated - was this really a place for a man of my age to attend (apparently we're called 'droolies' - over 25s who attend Schoolies!) and would I be intruding on what really is a young person's event? When I was told that they run a VIP Tour for sponsors and other interested parties prior to the evening starting to show how the weekend festival is organised and rolled out, I knew I had to be a part of it! They're just doing what we did: Are young risky drinkers really drinking like their parents did? One of my favourite lines from a parent usually comes up when they approach me after a Parent Information Evening. They start by thanking me for the talk and then the conversation wanders a bit and you can tell there is something they want to get off their chest ... there was something about what I said that they didn't agree with. You can almost see it bubbling up inside them ... the desperate need to say, "but they're only doing what we did!" 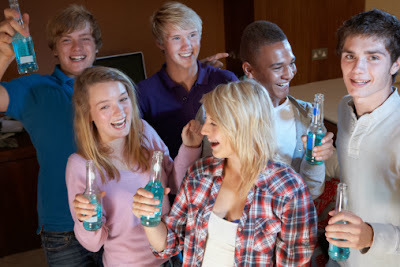 Would you ever consider hosting a teenage party? If so, is there anything you can do to keep it as safe as possible?